526. How many companies have shown production below their average production in 2002 - 2003, but have showed above the average production in 2003 - 2004 ? 527. 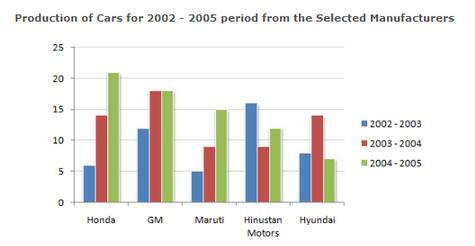 The ratio of Hindustan Motors production in 2003 - 2004 to Honda's production in 2002 - 2003 is ? 528. For how many companies has there been no decrease in production in any year from the previous year ?